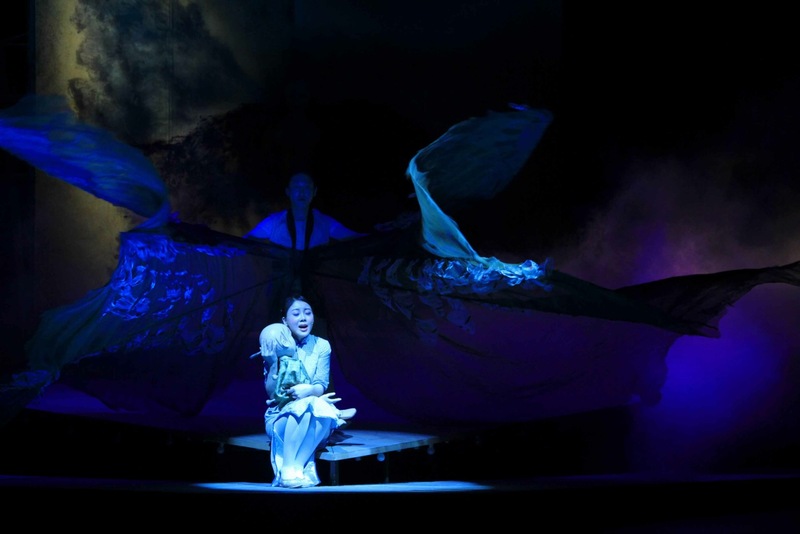 A unique collaboration between Arts Centre Melbourne, Playking Productions and National Theatre of China sees the return of this re-imagining of the classic tale of Cio-Cio San, tragic heroine of Puccini’s beloved opera Madama Butterfly. Although the combined use of English and Chinese language, simultaneously displayed in subtitles, creates a significant point of difference from other shows about east/west relations, the production struggles overall to a make a substantial contribution to the pre-existing story. Upon the curtain’s rise, the sight of rows of power lines is the first indication that we are not in the blossom-strewn rice-paper house of the traditional Butterfly. Cho Cho’s humble dwelling is in Shanghai, and we learn immediately that she shares it with her three-year-old son while waiting for his father to return. Colourful characters Luo Shu and Guma, the Chinese Thénardiers, entice noble American Lieutenant Pinkerton to spend time with their niece, beginning an ill-fated relationship that is not viewed equally by both parties. Richard Jeziony’s set design makes interesting use of levels, and features an intriguing wall painting of the young Cho Cho that reveals the image of a giant butterfly in certain light. The use of red lanterns and bamboo screens are perhaps a little too typical to make interesting Chinese settings, and the contribution of a Chinese designer could have added more interesting and authentic touches. Wang Qi’s lighting design is of a pleasingly high quality. 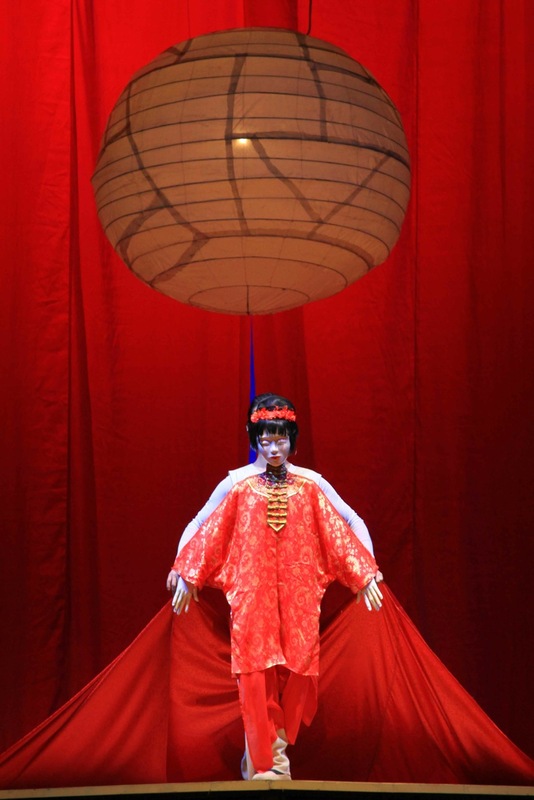 The most successful theatrical element in the staging is the exquisite puppetry of Han Xing. Xing expertly conveys the inquisitive and affectionate character of Cho Cho’s young son. Xing also manipulates a full body-sized puppet of Cho Cho during her marriage ceremony. This sequence, leading to the couple’s wedding night, is delicately handled, although it does rob the actors of time to establish a strong connection so as to make more sense of Cho Cho’s endless longing for Pinkerton after he deserts her. While the events still unfold to an affecting climax, the impact of the show suffers in comparison to previous versions. 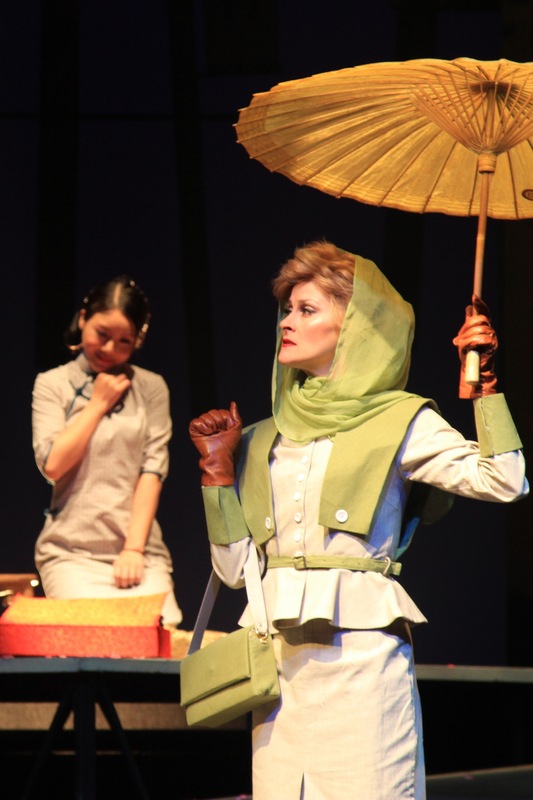 Ken Russell’s 1986 staging of Madame Butterfly for Victoria State Opera was a more fully realized and dramatically charged update of the story to twentieth century Asia. 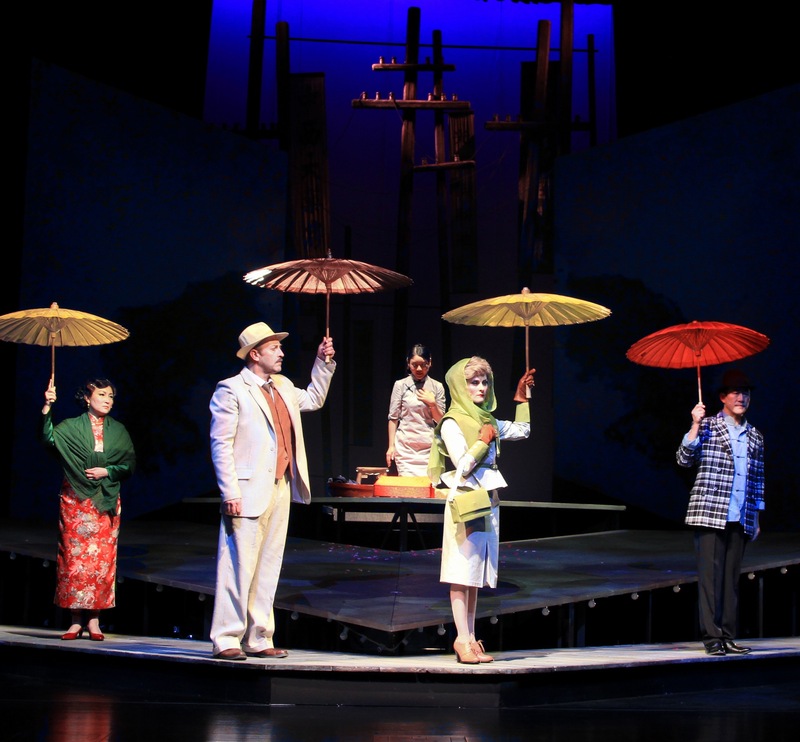 Cheng Jin’s score for Cho Cho does not attempt to match the timeless beauty of Puccini’s music, but the Broadway-lite style means that while the songs are pleasant and accessible, they are completely overshadowed by previous music theatre update Miss Saigon. As with the staging, a more distinctly Chinese sound would have been welcome. Playwright Daniel Keene’s use of fractured time gives away the story early without creating any of the dramatic tension raised by the jumps back in forth in time of Miss Saigon. Lyrics for the through-sung show range from clichés to horrid images of blood, vomit and excrement. The enjoyable performances from the six Australian and Chinese actors are evenly matched in quality and focus. Wang Zheng takes our hearts as the delicate, determined Cho Cho, especially in act two as the prominence of her role increases. Robbed of best friend Suzuki in this version, Zheng must act alone and with her puppet son much of the time and she proves herself entirely capable of this challenge. Dependable leading man Scott Irwin turns in a solid performance as Pinkerton, particularly capturing the man’s confusion over the damage caused by his reckless actions years ago. Irwin’s commitment, along with sterling work from Xing, makes the puppet wedding night scene work. David Whitney, in fine voice, gives strong support as Pinkerton’s friend and confidante Sharpless. Danielle Barnes presents an excellent characterisation of Pinkerton’s American wife, Kate, projecting palpable animosity to Cho Cho and Shanghai in general. Almost unrecognisable under the stiff waves of a blond wig, Barnes shows unflinching commitment to portraying this unsympathetic, unlikable woman. Dong Wenliang and Du He are entertaining and amusing as the crassly dressed, tasteless raconteurs Luo Shu and Guma. 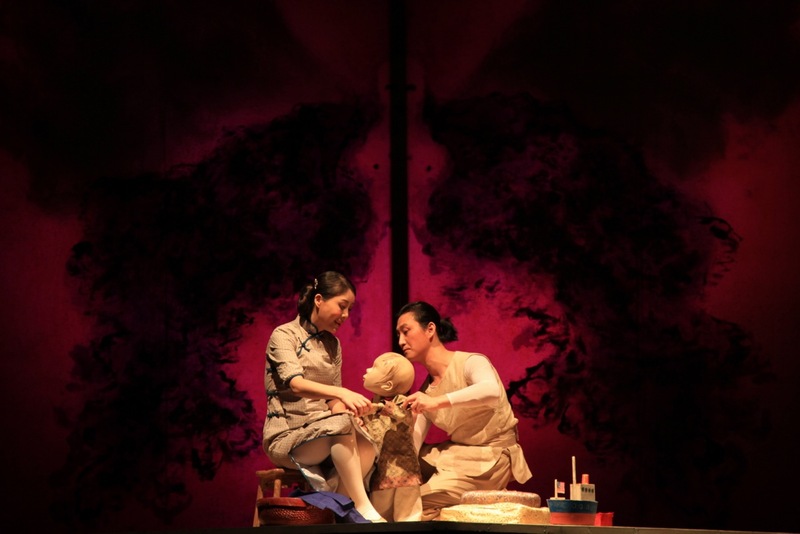 Cho Cho’s unique Chinese connection will be of interest to theatregoers looking for variety, and the story is sure to affect those who are unfamiliar with previous incarnations. 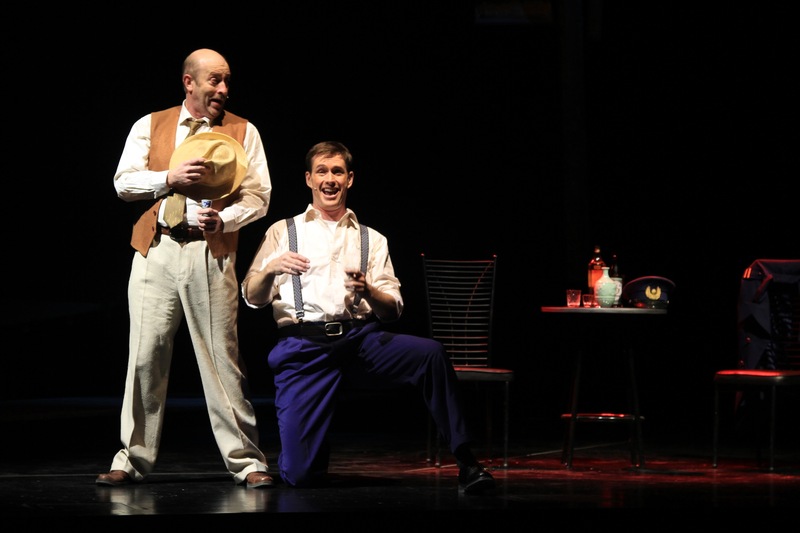 Cho Cho plays at Playhouse, Arts Centre Melbourne until 6 October 2013.